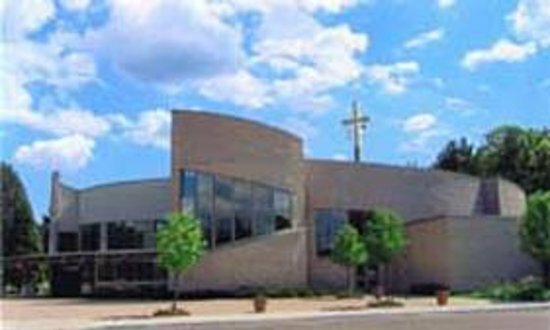 The La Salette Shrine Church is to the left of the Welcome Center. It seats about 500 people. Today&apos;s Feast is a Holy Days as always but the &apos;obligation&apos; to attend Mass is suspended because it falls on a Monday. We encourage people to come to Mass but it is not Mandatory.